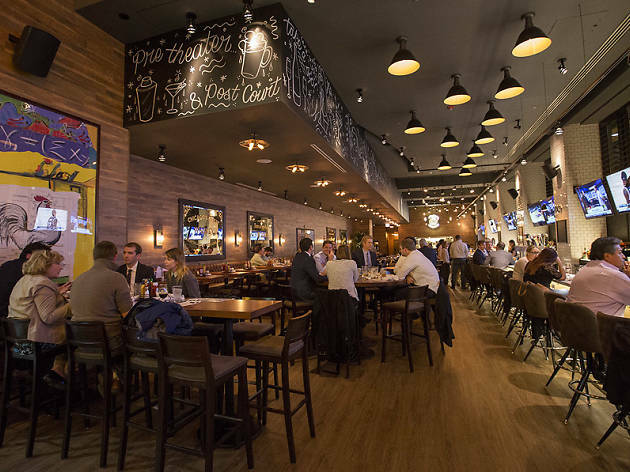 Why it's taken this long for an upscale bar to take up residence mere steps away from City Hall is beyond us, but City Social Kitchen and Bar is clearly the kind of place that this area of the Loop has long demanded. 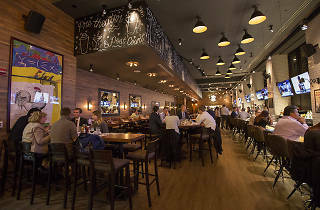 Walk by during the week, and you'll find it packed with young (and older) professionals enjoying cocktails, 20 draft beers and televised sports. The menu offers a cross between classic bar fair fare (burgers, wings, guacamole), Italian dishes (pasta, linguini with clams) and seafood (including a poke bowl). El stop: Blue to Washington, Brown, Orange, Pink and Purple to Washington/Wells. Bus: 20, 56, 60, 124, 134, 135, 136, 157.